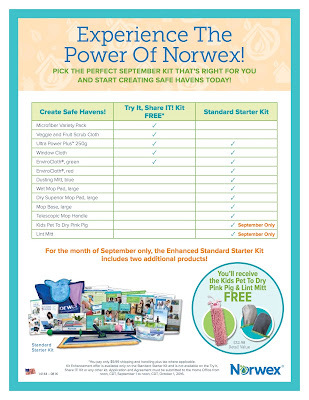 Rebecca Lange - Norwex Independent Sales Consultant: Try It, Share It - NO FEE to join this September! Try It, Share It - NO FEE to join this September! Building your own business is simple, and you will be earning money while having fun. All you have to do is try the products and share what you love, and you can make it your job to party! You get all of these products with no kit cost,** so you don’t have to wait to try them all! The products in your kit are simple to demonstrate, so you can plan your first party right away. We’ve also included several business tools to help you get started. No party is too big or small, just gather your friends and share! MORE TO TRY AND SHARE! Upgrade your Starter Kit to get more of our Top 10 Products and a special bonus offer only available in September. Ask me how! 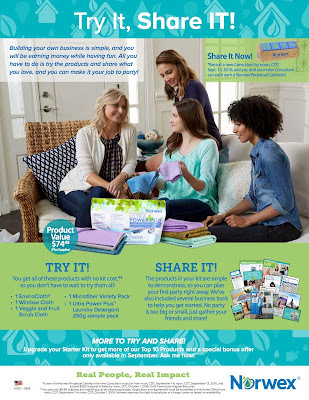 Norwex Try It, Share It! *To earn the Norwex Perpetual Calendar the new Consultant must join from noon, CDT, September 1 to noon, CDT, September 13, 2016, and submit $250 Subtotal A Sales by noon, CDT, October 1, 2016. Limit 1 award per eligible Recruiter. **You pay only $9.99 shipping and handling plus tax where applicable. Application and Agreement must be submitted to the Home Office from noon, CDT, September 1 to noon, CDT, October 1, 2016. Norwex reserves the right to substitute or change contents based on availability. ￼￼￼￼￼￼￼￼￼￼￼￼￼￼￼￼￼￼More products for you to share with hosts and customers as you build your business! 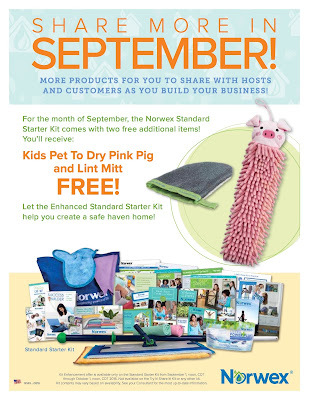 For the month of September, the Norwex Standard Starter Kit comes with two free additional items! You’ll receive Kids Pet To Dry Pink Pig and Lint Mitt FREE! Let the Enhanced Standard Starter Kit help you create a safe haven home! Kit Enhancement offer is available only on the Standard Starter Kit from September 1, noon, CDT through October 1, noon, CDT 2016. Not available on the Try It! Share It! Kit or any other kit. Kit contents may vary based on availability. See your Consultant for the most up-to-date information. 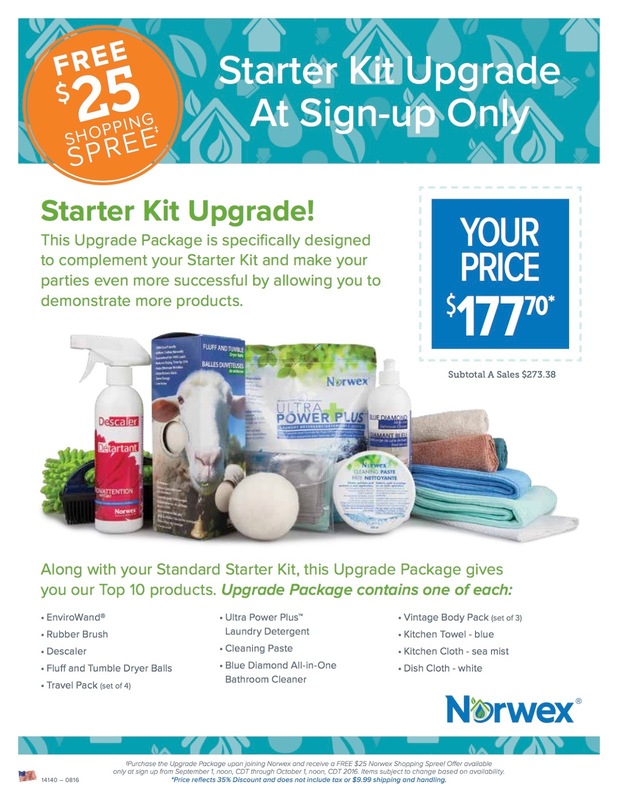 This Upgrade Package is specifically designed to complement your Starter Kit and make your parties even more successful by allowing you to demonstrate more products. 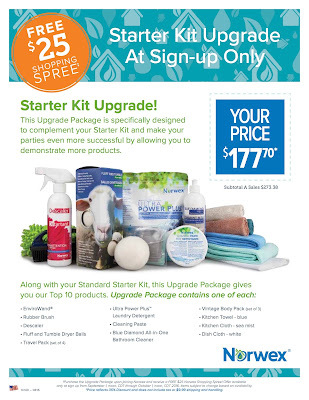 ‡Purchase the Upgrade Package upon joining Norwex and receive a FREE $25 Norwex Shopping Spree! Offer available only at sign up from September 1, noon, CDT through October 1, noon, CDT 2016. Items subject to change based on availability. ***Price reflects 35% Discount and does not include tax or $9.99 shipping and handling. Experience The Power Of Norwex! 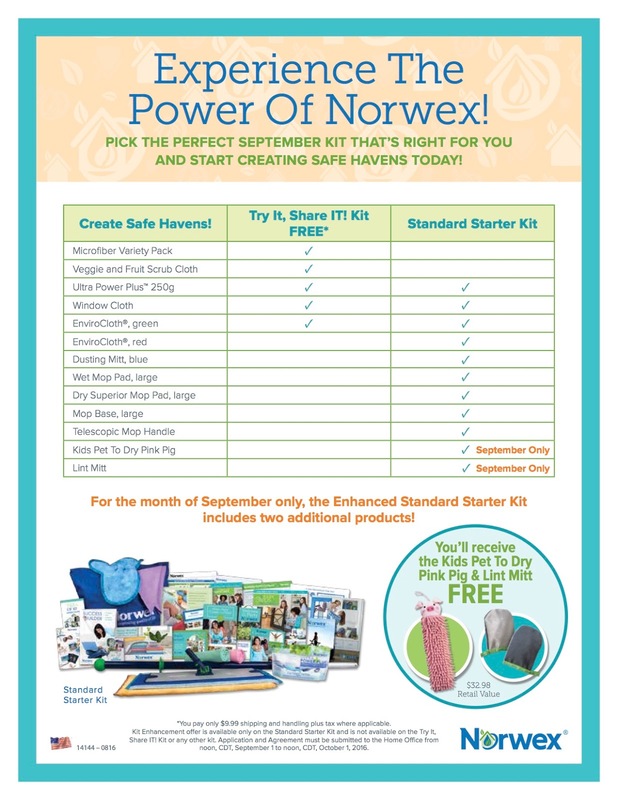 Pick the perfect September Kit that's right for you and start creating safe havens today! You'll FALL for our September Sale!